Founded by Philippe and Cherie Melka in 1996, Philippe Melka wines made its debut with the 1996 Metisse, a small, 240 case Bordeaux blend. At the time, Philippe Melka was already established in Napa as the wine maker for Seavey and J. Lail vineyards. Philippe Melka learned his trade while in Bordeaux. He studied in Bordeaux, earning degrees in Geology and Enology from the Bordeaux University. Before moving to California to form Melka Wines, Philippe Melka began his career learning as much as possible from stints at Chateau Haut Brion in Pessac Leognan, Chittering Estate in Australia and Badia O Coltibuono in Italy before moving to Napa. His wife Cherie, who co owns the winery is equally responsible for everything that takes place with Melka Wines. Cherie also has a degree from Bordeaux University and a long career in the wine world. Before helping to create Melka Wines with Phiippe, she worked at numerous California wineries including Ridge, Beaulieu Vineyards and Silver Oak. Philippe Melka released his first wine, Melka Metisse in 1996. Melka Metisse La Mekerra Vineyard: A Right Bank Bordeaux Blend of Merlot and Cabernet Franc. La Mekerra takes its name from a river in Algeria. The fruit comes from an 8 acre vineyard in the Knights Valley appellation. The 8 acre vineyard has a terroir of clay and volcanic soils. Planted in 2002, the vineyard is planted to Cabernet Franc and Merlot. The wine is vinified with each grape variety receiving a special treatment. The Merlot is barrel fermented while the Cabernet Franc is vinified in stainless steel tanks. The wine is aged in an average of 60% new, French oak barrels for about 30 months, depending on the vintage. This is a small production wine. Only 250 cases are made per year of Melka Metisse La Mekerra. Melka Metisse Jumping Goat Vineyard Napa Valley: A small, 400 case, Cabernet Sauvignon dominated wine, which made its debut in 2003. 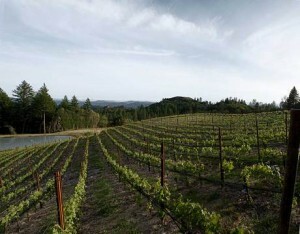 The 3.5 acre St. Helena vineyard, located close to Spottswoode was planted by David Abreu in 1999. The vineyard, with its gravel soils is planted to a blend of 2 acres of Cabernet Sauvignon, .65 acres of Merlot and .3 acres of Petit Verdot. Each variety is vinified for its specific needs. Cabernet Sauvignon is fermented in oak tanks, Merlot is vinified in stainless steel vats and the Petit Verdot is fermented in small French, oak barrels. The wine is aged in an average of 60% new, French oak for 24 to 30 months, depending on the vintage. Not much Melka Metisse Jumping Goat is produced. On average, close to 350 cases are produced each year. Melka CJ: Produced from grapes planted in Soda Canyon, Coombsville and in the north of Calistoga which made its debut in 1996. At the time it was a small 200 case production. CJ takes its name from their two children, Chloe and Jeremy. Today, production was up to 2,000 cases with the 2010 vintage making this their most popular wine. The wine is typically aged in 45% new French oak for 18 months. 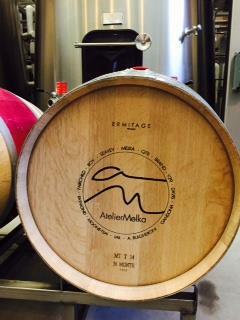 Melka wines are best served at 15.5 degrees Celsius, 60 degrees Fahrenheit. The cool, almost cellar temperature gives the wine more freshness and lift. Young vintages of their red wine can be decanted for 1-3 hours, depending on the character of the vintage. This allows the wine to soften and open its perfume. Older vintages might need very little decanting, just enough to remove the sediment. Melka wines are best served with all types of classic meat dishes, veal, pork, beef, lamb, duck, game, roast chicken, ribs, hamburgers, barbecue, roasted, braised, grilled dishes and stews. Melka wines are also good with Asian dishes, hearty fish courses like tuna, salmon, mushrooms and pasta. With his French ancestry, it was only natural, that Philippe Melka would also produce a Bordeaux wine. Melka Metisse Le Chatelet Vineyard: This is a St. Emilion Bordeaux wine made by Philippe Melka that comes fruit obtained from the vineyards of Chateau Le Chatelet. 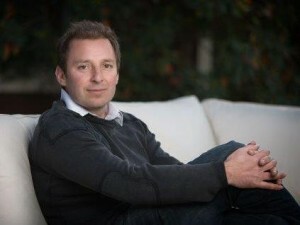 Philippe Melka is one of Napa Valleys busiest consultants, working with a vast array of wineries all over the valley. Some of his clients include Dana, Hundred Acre, Bryant Family, Seavey Vineyards, Dalla Valle, Vineyard 29 and numerous estates all over Napa Valley. Like all the best producers of California wine, Melka wines are available to customers via a direct mailing list. This wine would be at home in any tasting of Bordeaux Right Bank wines. Produced from a blend of 51% Cabernet Franc and 49% Merlot, the wine is ripe, full bodied and rich, but it also retains freshness and the spicy, floral and licorice notes make all the sweet, ripe fruits even better. From a blend of 60% Cabernet Franc and 40% Merlot, this beautiful wine could easily make itself at home in the Right Bank of Bordeaux. Add in the ripe, juicy plums, fat cherries, smoke, licorice and ample ripe tannins and you have a winner. Black raspberry jam, cocoa, blueberry and coffee bean scents create the nose. Forward, soft and round in style, the wine ends with a sweet, olive and black cherry finish. I like the style and character of this wine and the label.